Why use just one camera for FPV when you could use three? 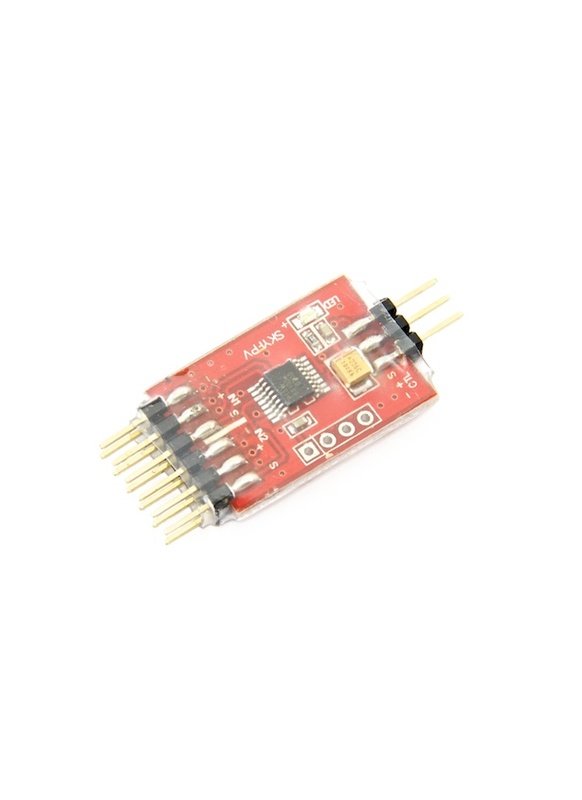 This compact 3-channel video switcher is a great accessory for any FPV model. It allows you to easily switch between up to 3 cameras; so you could have a front facing camera, a rear looking camera and even one pointing straight down and choose between them at the flick of a switch on your transmitter! If you are a pro aerial photographer flying solo this device comes in really handy - fly to your subject using your FPV camera, use a GPS lock to hold the multirotor’s position and then switch to your main camera feed to capture the shot. If you need to view all video sources at the same time, we sell a 4-channel picture-in-picture controller here. Please note Camera Inputs 1 - 3 and Video Output share a common power supply, i.e. if you supply 12volts to Camera 1, the power supply to Camera 2/3 and the VTX will also be 12volts. If your cameras require different input voltages, power them separately without connecting their power inputs to the switcher and only connect their video signal wire and ground connections. The power connection to the receiver is separate to the video connections. It requires a 5volt input. The control channel can be any proportional channel 2, or 3-position switch channel on your RC transmitter (2-position switch channel can only switch within two video input signals). Wiring: Please note that power is shared between all channels (camera inputs 1, 2 and 3 and video output) so if you are using cameras / transmitter with different voltage requirements you will need to power them seperately. For example, if you are using two 12V cameras, a 5V camera and a 12V transmitter, don't plug the positive connnection from the 5V camera into the PCB, power it seprately.